Most new home buyers focus on area, proximity to schools, proximity to work, layout, colors, and landscaping. And, often overlook security and safety. Doormats, Mailboxes, Plant Pots, and Bins are all common hiding places for spare keys. A better security option is to leave an extra key with a trusted neighbor or family member. The best security option is to install a smart lock that connects to your smart security system. You can lock and unlock doors with a keypad or remotely with *free Alarm.com apps. Many burglars look for patterns before they target a home. Burglars watch for what time you leave for work and what time you arrive home. It's also obvious when people go for vacation because they often forget to cancel the paper and haven't made arrangements to shovel the driveway. Make sure you have a trusted neighbor or family member collect your mail and clear your driveway/cut your lawn. Many burglars take advantage of the dark and like to hide behind shrubs and trees. For better security install motion sensitive lights that activate when a potential intruder is in the area. For best security install smart lights that connect to your smart security system. Smart lights are controlled on schedules and can make it look like you are at Home (most break-in's occur when you are away). 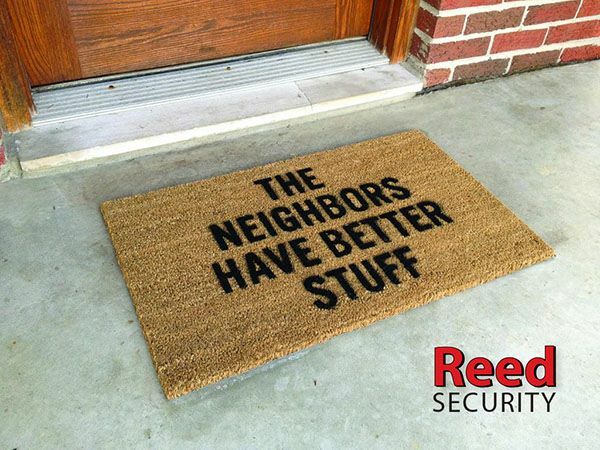 A Reed Security monitored home security system reduces the chances of having a break-in by 400%. Insurance Companies agree and provide discounts up to 25% on your annual home insurance policy. A Regina home-owner with $1200 annual insurance premium could save up to $300 a year. A study on convicted burglars’ view on alarm systems and deterrents found that 85% of burglars considered the presence of deterrents such as home security and that 62% would seek another target. Only 13% said they would still continue the attempt even after an alarm had been discovered. That is a large drop in your risk as of a victim of burglary just by having an alarm system present. Buying your first alarm system shouldn’t be taken lightly, as if just buying another pair of shoes. You have to remember that burglary is a crime of opportunity. When burglars see a way in, they are most certainly going to find a way out. While burglars generally avoid homes with an alarm system, you must consider establishing a stronger home security from your Regina & Saskatoon Alarm System Provider. But, how do you exactly determine a trusted home security company fit for your alarm system needs? To help you out, here are the key considerations for choosing one. When you intend to buy or upgrade your phone, one of the first things that you do is read reviews of your prospective purchase online. Be as persistent when you search for a home security provider. Support your choice with research and informed advice from security system users in Regina & Saskatoon. However, you have to be very cautious when doing so because some online reviews can be untruthful with the intention to mislead. One of the most effective ways to choose the right alarm system provider is to seek the advice of friends and family. They have your best interest in mind. You can depend on them to give you an honest assessment of a device. Personal referrals are priceless. Credibility is at the core of choosing a trusted home security provider. Evaluate the company’s work history to determine whether its record is untainted, received a significant number of complaints, has a reputation of being a trailblazer in the industry or if it has good customer service. Find out if they have all the licenses to operate, especially those that may affect consumer protection. In figuring out where to buy home security devices, it is important that you are able to identify your needs. What do you want the alarm system to do for you and what’s your allotted budget for home security? Only then will you be able to narrow down your choices and ultimately pick the right Alarm service Company. If you think that a wireless alarm system would work best for your home, then opt for an alarm system company with specific wireless products. 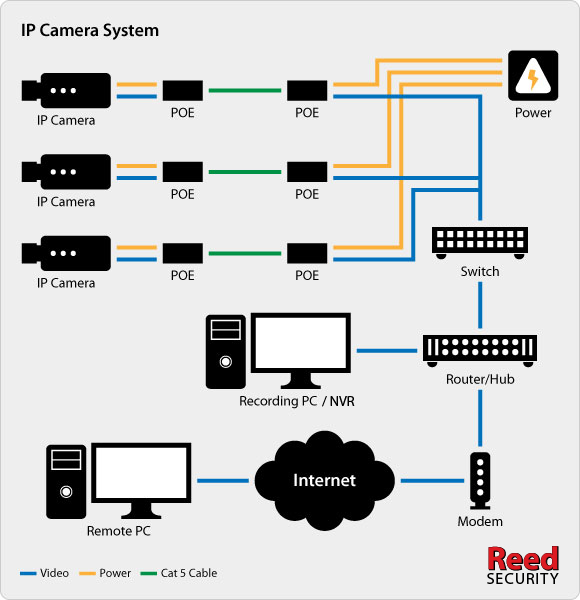 Reed Security offers top notch security devices, sensors and other accessories that can help you in managing your home. People are the heart and soul of any security company. Find out if their pool of home security experts are truly what they claim to be. Check if they are indeed trained and certified to reduce faulty installations and other technical problems. Experts should also extend to customer service professionals whom you can count on to give assistance whenever necessary. With so many alarm companies to choose from in Regina & Saskatoon, you should find the one that has a responsive 24/7 Monitoring Station. You will notice that most professional alarm systems have a two-way radio capability, which will directly send a distress signal to the command center. The command center will then assess the situation and if a threat is validated, it will ask authorities to dispatch units and attend to your emergency. This aspect is very important because it deals with the actual responsiveness of a security company and of authorities. At the same time, it must help you identify validated threats both from false alarms and your immediate surroundings. This is usually the boring, tedious part of the process. But don’t make the mistake of not paying attention to this detail. Most companies have you sign a three to five year commitment contract in exchange for discounts on the installation fees. Also check to see whether or not they have any warranty policy. A good company must always know how to innovate. In the Regina & Saskatoon security industry, companies who have the best and latest technology are considered pioneers. And as the market evolves, it is important that your choice of provider is capable of change, upgrades, and other technological advancements in order to keep up with the latest features those consumers are looking for. Many people are not only looking for home security, but smart home security with home automation and remote capabilities. Security is serious business, and you should take it seriously. When you shop around for a burglar alarm, do not just settle for the cheapest unit or the most expensive one at that. Do not just pick the one that looks the most advanced or the one that has the most features. The reasons for choosing an alarm system provider should include the provider’s credibility, innovative offerings, customer service availability, and the variety of products offered specific to your needs. CAN I STILL GET A HOME SECURITY SYSTEM IF I HAVE PETS? One question I have learnt to ask at every residential sales call is “Do you have pets?” That’s because pets can drastically affect the way a security system works, and therefore should be a huge factor in deciding what your alarm system should look like. Similarly, an existing system might work perfectly for years, only to have false alarms start when a new pet is introduced to the house. It can certainly be a challenge, but one that can be overcome with careful consideration and planning. Motion Detectors - The most obvious culprits for false alarms in the presence of pets are motion detectors. 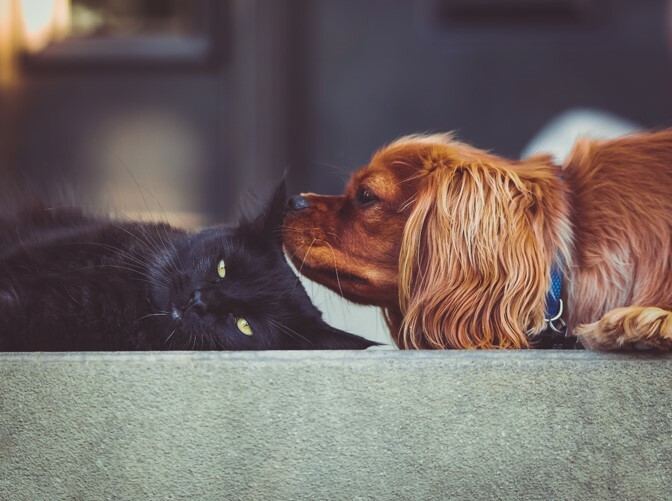 Many motion detectors are “pet friendly”, and many even give a weight (between 40-80lb on average) under which a pet can essentially be ignored. However, there are some limitations to these devices, and improper placement or setup can still result in false alarms. A standard PIR (Passive Infra-Red) motion detector shoots out beams in a sort of three-dimensional grid, and is triggered by objects big enough to cross 2-3 beams at once. “Pet friendly” motion detectors work by having reduced sensitivity for the grid slices in the lower half of the field of view, making it less responsive to objects that stay low on the ground. And that is the key; height. 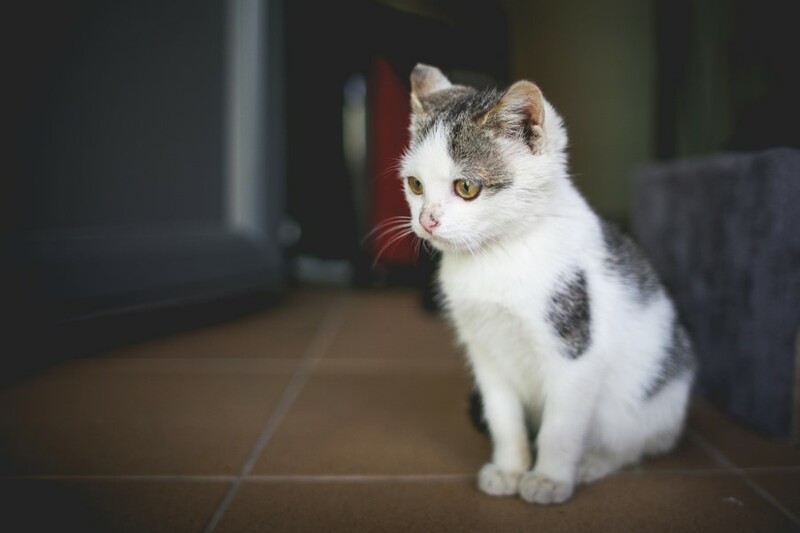 Pointing a pet-friendly motion detector at a flight of stairs will inevitably give you false alarms, as will pointing it right at your cats’ favourite jumping spot. I have seen more 6lb cats set off false alarms than 40lb dogs, because they love to jump on things when no one is around (even when the owner swears that they don’t!). 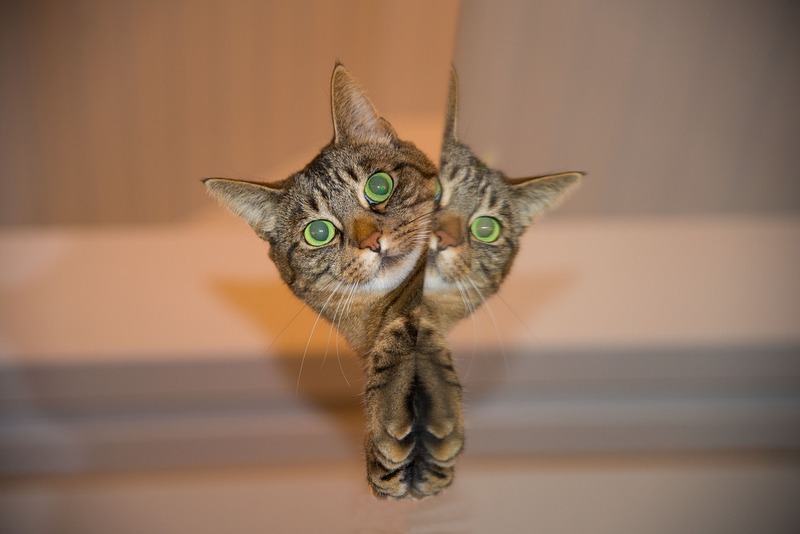 Glass-break Sensors - If you have a cat that loves to jump or a dog that enjoys getting rowdy when no one is home, a better alternative might be to strategically cover windows with audio glass-break detection. These sensors have a microphone in them, and listen for the high-pitched frequency of breaking glass. 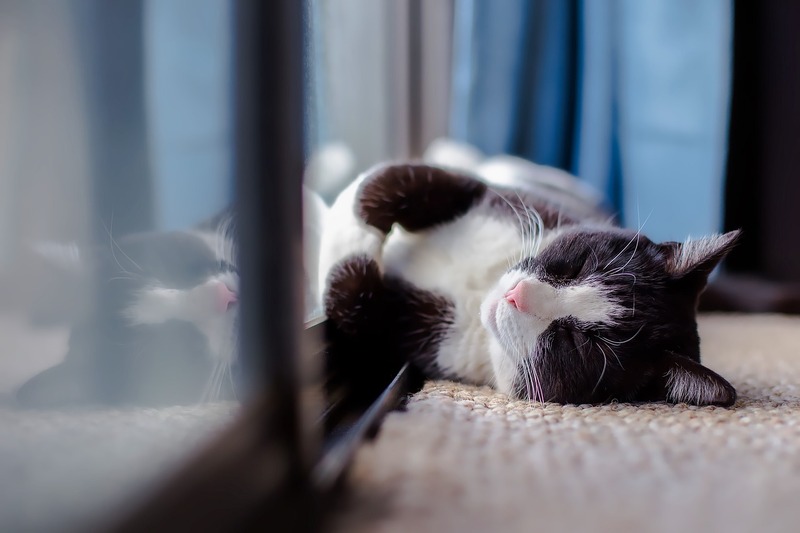 Your pets can move around freely without any worry of setting the alarm off. However, dogs with very high-pitched barks, or pet birds, have been known to set these off too. One just has to think ahead: does your dog sit at the front window and bark at every car that drives past? Then maybe the glass break detector should be covering the back windows only. Placement - The last thing we need to talk about is the general placement of sensors. I have seen many door contacts, window sensors, and even one glass-break detector damaged by pets because they were placed too close to the ground. A puppy will chew on just about anything it can get its teeth on, as anyone who has owned one will know. There are few circumstances where a sensor would have to mounted low (wiring a sliding patio door in a finished house might be one), so these cases can usually be avoided before they happen. 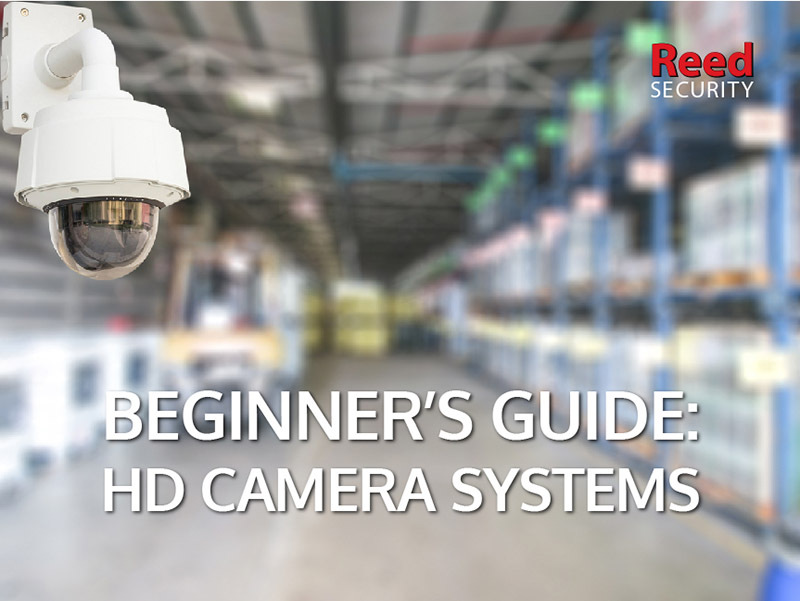 But if you’re system was already setup before you got your pet, it might be worth getting a security professional in to evaluate the existing equipment and its placement. - NO, you should not have to live with false alarms just because you have pets. It may take some effort to get things setup for your pets, but don’t let that dissuade you from having an alarm system altogether; it’s there for your safety AND that of your pets. WHAT CAN AN ACCESS CONTROL SYSTEM DO FOR MY BUSINESS? One of the primary reasons many business owners choose to implement a card access system in their workplace is to eliminate keys. A large business might have tens, if not hundreds, of locked doors spread across multiple work sites, and as such, the number of keys floating around between employees can be staggering, and incredibly difficult to track. Keys get misplaced all the time, and it can be days or weeks before an employee either realizes they’ve lost it, or gets around to telling the boss. During that time, your business is vulnerable to theft, and then there’s the expensive and often time-consuming process of re-keying locks. 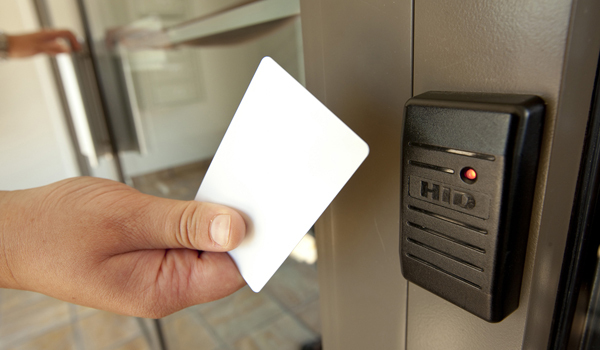 With an access control system, a lost card can be disabled with the click of a button. Not only that, but a “trace” can be put on the card, so that if anyone attempts to gain access to your building using that card, you can be notified, or an integrated CCTV system can take a picture of the door in question. If the employee then finds it again, you just re-enable it in the software, and you haven’t lost a thing. And because employees have one “key” that opens every door, they are much more likely to realize that they have lost it and report it to a supervisor in a timely fashion. A card access system allows you to grant an employee access to any door at any time you choose. Have an employee who should only be in Building A from Monday to Friday? No problem. Have a vendor who needs to drop off some equipment between 4AM and 6AM on a Saturday? Easy. What about an employee who has just been promoted and now needs access to a different set of rooms? Just change their access level in the software, and you’re golden. Unfortunately, one of the realities of running a business is that sometimes you need to let someone go, and not always on the best of terms. Changing one setting in the software ensures that the employee can’t re-enter the building again, even if they haven’t given you their card back. Access control can also effectively manage your visitors and clients; people who don’t have a card. Having your front doors automatically unlock at opening time allows customers into your sales room, but keeping doors to offices and hallways locked means only your employees can access them. One of the biggest advantages to implementing a card access system, particularly for large or multi-site businesses, is that many features can be controlled from one centralized computer. Systems can be setup to control multiple sites across the city, province, country, or even other continents, in real time. Not only is it easier to have one person or a small team managing the software, but now, when a manager travels to a distant branch of the company, their same card works there too. Their pre-defined access level allows them access to whatever sites and whatever doors are deemed necessary. These are just some of the reasons why many Alberta businesses are implementing access control in their workplaces. 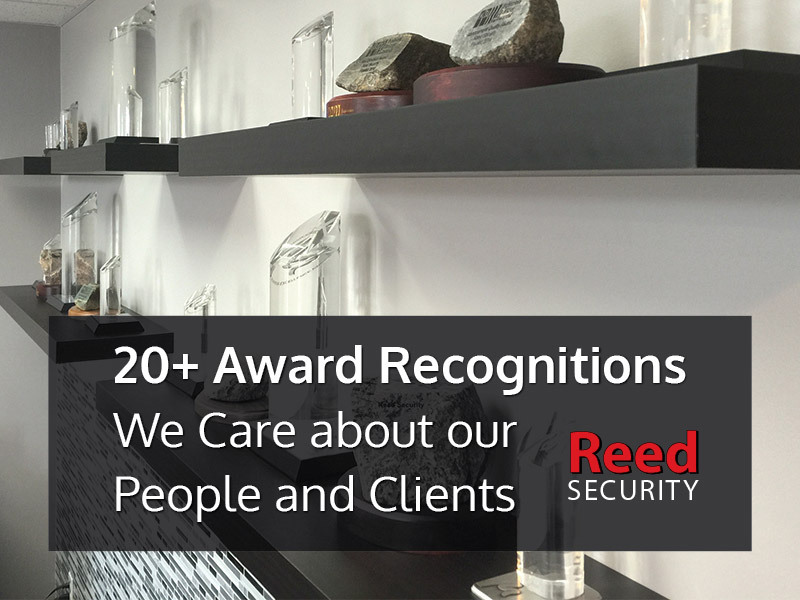 At Reed Security Calgary, every access control system is heavily customized to meet the needs to the building it is protecting. The highly scalable nature of the system means that whether you have one door to manage or 1000, there is always a solution that can keep your employees safe and improve your overall productivity. Give us a call today to arrange for a free, no-obligation security evaluation; we’d love to meet you and show you how you can get the most out of your security!